It’s been a nail-biting day here at D’Ornano Stadium complete with the sort of surprise ending that makes eventing such an exciting sport — it’s never over until the last jump of the last competitor on the last day. 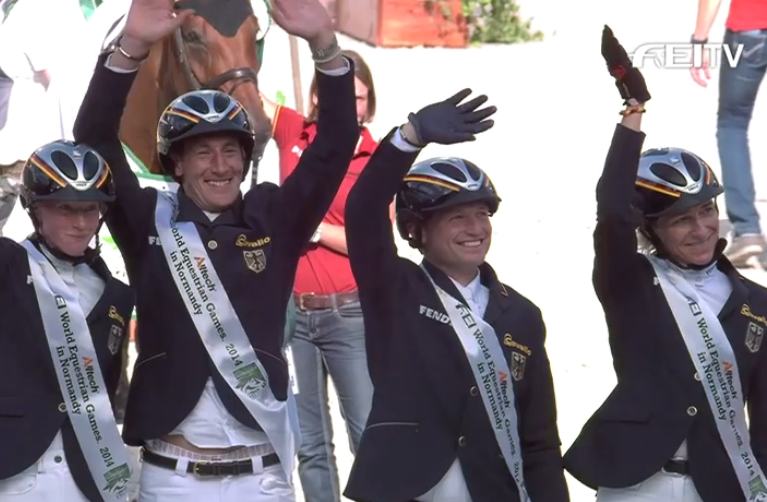 The FEI just posted a quick video recap of today’s grand finale, replete with dramatic music, slow-mo sequences and British accent that (almost!) do justice to the day that was. In the spirit of the sport, Eventing Nation’s WEG coverage isn’t over until the last security guard kicks us out of the press center. So keep it locked here!